"It is almost impossible to go wrong here." 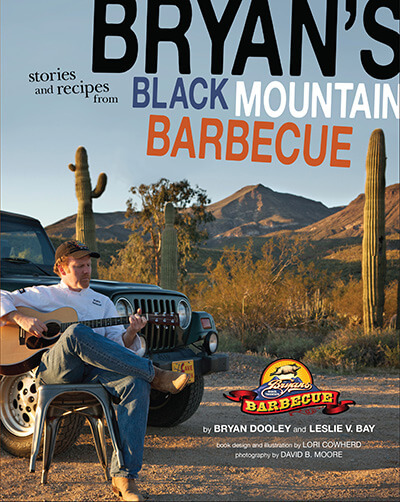 "The brisket and ribs at Bryan’s Black Mountain have established owner-chef Bryan Dooley as one the of Valley’s top pitmasters." "... the former Scottsdale resort chef pushes the culinary envelope with unusual smoked offerings like frog legs, alligator ribs and even spaghetti squash (vegetarian ‘‘pulled pork’’) at his northeast Valley outpost." 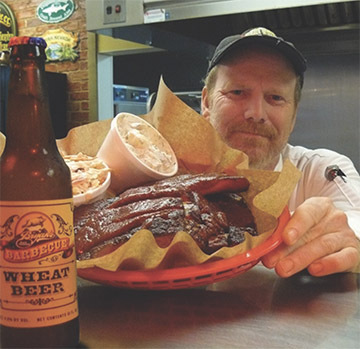 Reason to visit: "Frog legs, "chalkboard pig," ribs, pulled pork sandwich, vegetarian "pulled" spaghetti squash sandwich, brisket chili, baked potato salad, and homemade ice cream sandwiches." 1/4 lb meat served on a toasted bun and choice of one six ounce side. * By request, these items can be served raw or undercooked. Warning: Eating raw or undercooked meat or eggs may increase your risk of food borne illness. GLUTEN FREE: All menu items, except the bread, are gluten free. call to us to make your reservation! Award winning recipes and yarns from yours truly.